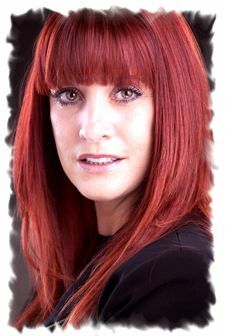 Donna is a ‘born medium’ who is honest in her approach to all things spiritual. She works with a simplicity that makes a controversial subject of ‘working for the departed’ less of a taboo subject. Her sense of fun and her own free spirit manages to catapult the world of spiritual beings into a light they truly deserve. Both the public and the departed are attracted to her vibrant personality which permits the veil between our worlds seem somewhat more translucent. Donna is attuned to energies that surround us all on a daily basis, be that spiritual energy, leylines, water energy or psychic energy. She has an adapt way of ‘knowing’ the real side of people and as all matter resonate vibrations she is able to tune in to those also. As a natural medium Donna enjoys demonstrating from rostrum as a way of uniting the spirit world with loved ones in the audience. Her sparkling personality makes such communications fun, uplifting and enlightening not only for us on the physical plane but for the spirit world also. For a number of years her work has been endorsed by the Society of Metaphysicians, who lodge evidence captured from her investigations with libraries in both the UK and USA. In December 2011 Donna was awarded a ‘Doctorate of Esoteric Science Degree’ by Dr Clark Schmidt from the Institute of Metaphysics and Psychic Sciences in Saint Petersburg. Dr C Schmidt put Donna’s name forward for the many years she has committed to the study of all things metaphysical and for her valued contribution to the gathering of such evidence. There have only ever been three Full Diplomas’ awarded and we are proud to announce Donna now holds that third one.